Vicky is Head of the Family and Children Department at Ringrose Law. 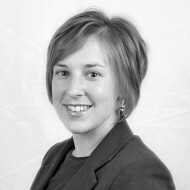 Vicky particularly specialises in Child Care Law, Child Abduction, finances and prenuptial agreements. Vicky recently successfully gained membership onto the Law Society’s Children Panel Accreditation Scheme which formally reflects her area of specialism and her commitment to representing children and families in Court proceedings.